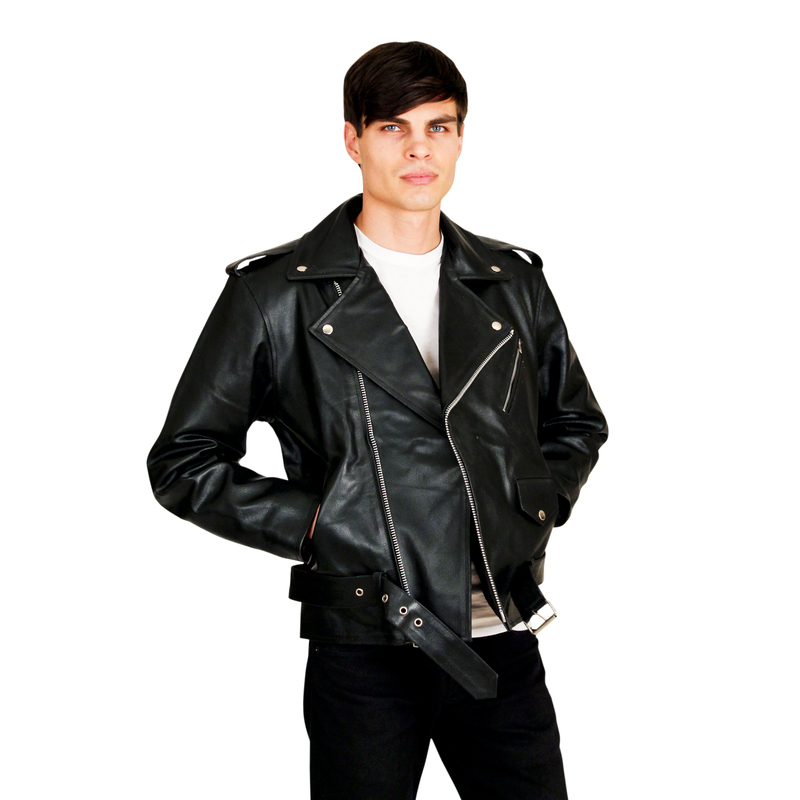 Men's Basic Biker Jacket in top quality cowhide leather with zipout quilted lining. Imported. Available Colors: Black. Available Sizes: Medium, Large, X-Large, 2XL.